Superdry men’s applique Weekend cut & sew sweatshirt. Designed for an oversized fit, this sweatshirt is a comfort essential this season. 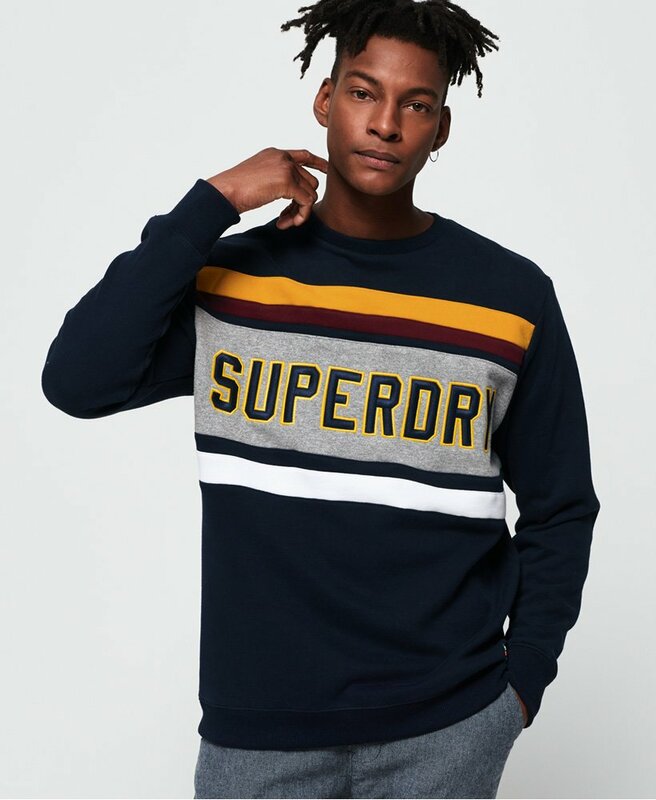 It features a crew neckline, an applique Superdry logo on the chest and ribbed trims. For the finishing touch, this sweatshirt has been completed with a Superdry tab above the hem. For a key look this season, pair this sweatshirt with joggers for a laid back vibe, or pair it with jeans and trainers for an easy, everyday outfit.